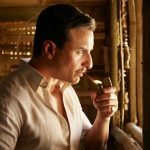 Box Office: Rangoon 10th Day Total Collection, Unfortunately Flops! Last week released, filmmaker Vishal Bhardwaj’s much anticipated Rangoon has actually got failed at box office. Despite the positive reviews from most of the critics, it showed retrogressive performance in the opening weekend and dropped abruptly afterward. With the end of its first week, the movie had lost almost all its hold over the audience. Although lead stars Saif Ali Khan, Shahid Kapoor and Kangana Ranaut have received positive response from critics as well as viewers for their brilliant performances in the movie. Vishal Bhardwaj has also got appreciated for his flawless direction, but still Rangoon got failed to attract audience toward theaters. In the opening weekend, this romantic period drama witnessed below average occupancy throughout and did the business of only 14.50 crores from 1800 screens in India. Then in weekdays, asusual it faced massive drop than weekend and registered the business of total 4.40 crores. After the first week, total collection of Rangoon was recorded as 18.90 crores on domestic box office. Now the movie is running in the second week and showed very poor performance in this weekend, as audience didn’t show much interest in it. On 2nd Friday, it faced around 89% of drop than Thursday and added the amount of only 0.10 crore. While on Saturday, it managed to score 0.20 crore with slight rise. On the last day of weekend i.e. Sunday, Rangoon minted the amount of 0.25 crore and made its 10 days total collection of as 19.45 crores on domestic box office. It doesn’t seem to cross the mark of 20 crores in its lifetime, that means it’s a disaster.